Come experience the holiday magic in a truly Epic way! 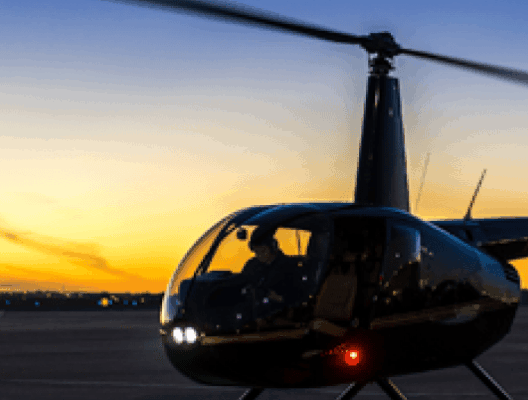 Santa's Sleigh Ride is the shortest of our holiday light tours, but it certainly isn't short on the ground you will cover and the sites you will see in this exhilarating flight. 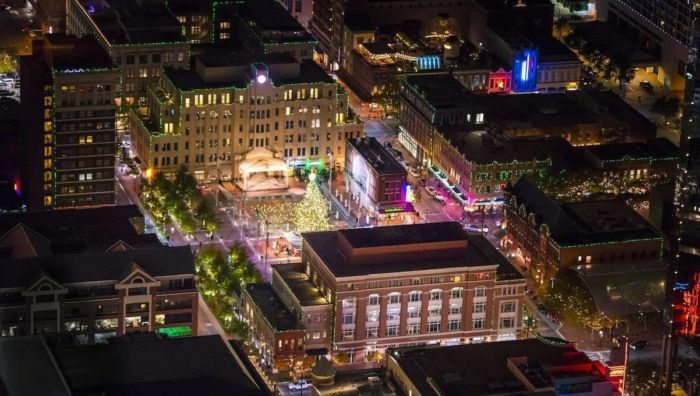 Santa’s magic sleigh zips off first to downtown Fort Worth’s captivating night skyline for a perfect viewing of the Sundance Square Christmas tree. 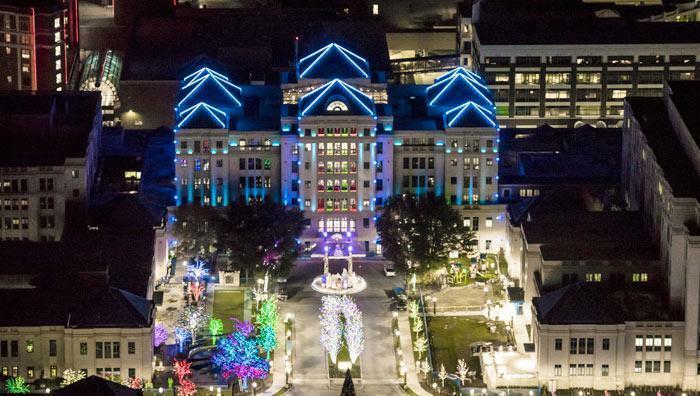 On the way, we see the Stockyards Christmas tree, museum district and twinkling lights of the best mansions around Fort Worth. After, it's a reindeer gallop toward the immensely popular Interlochen neighborhood where the neighbors have been one-upping each other for years - in good holiday spirit, of course! It's a true case of keeping up with the Jones' and a holiday spectacle not to be missed. 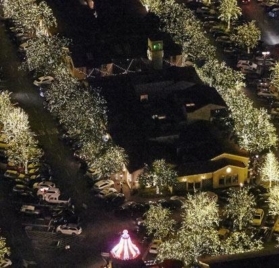 New this year are very colorful neighborhoods in Bedford and Colleyville, two of the most brightly lit in all of DFW! 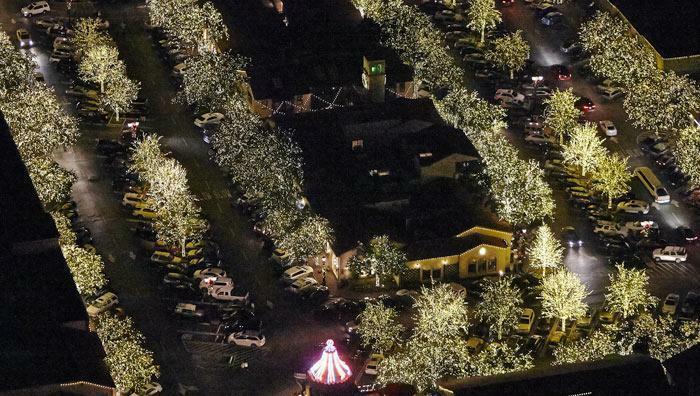 On departure, your sleigh ride will climb to the highest altitude of the flight at 1,500 feet above ground to take in the enormity of millions of lights across the landscape. 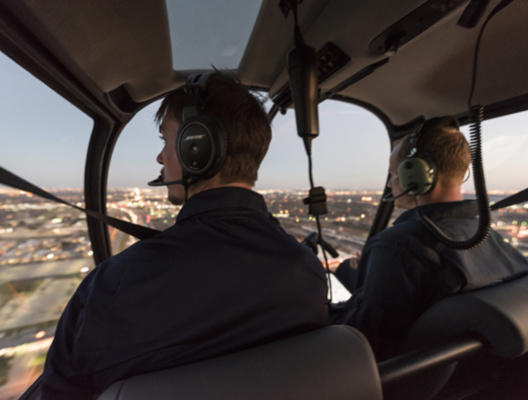 As we pass over the top of Dallas Love Field, we begin a descent into downtown Dallas for a remarkable view of the night skyline, to include the festively lit Reunion Tower and Omni Hotel. Onward Rudolph to Fair Park for astonishing views of the Cotton Bowl and a Texas-sized Ferris wheel with downtown Dallas as a charming backdrop. 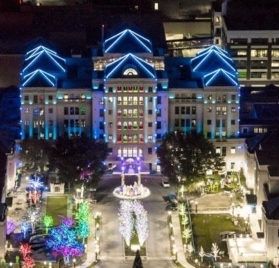 Then north past the twinkling mansions of Highland Park & University Park, the brightly lit Highland Park Village and a peek at Southern Methodist University before arriving safely back to the airport.